Welcome to the official site of the WDDO. We are a not-for-profit organization……a group of scent detection canine handlers and trainers with a goal. 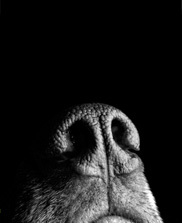 to improve the field of canine scent detection. We are police officers, fire fighters, public and private investigators, pest control professionals, mold inspectors, search and rescue personnel and others. 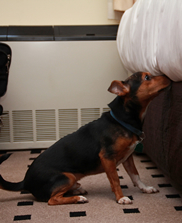 But one important thing we all have in common is we depend on canine scent detection as a part of our livelihood. 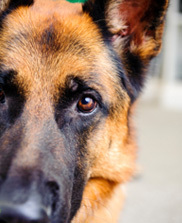 The organization is open to all canine disciplines as it relates to detection, regardless of the trainer. We are a resource center, brining canine teams together for the purpose of better networking and communication. I invite you to learn more about our incredible organization. We hope you will join us in setting the standard! uence or assistance, either intentional or inadvertent, from observers. Currently the WDDO offers certification exams for the following K9 disciplines: Narcotics, Cadaver, Bed Bug, Explosive, Termite, Accelerant and Mold. The WDDO encourages all members to earn their Certified Trainer designation. Our Member Map highlights those who have met the WDDO challenge. Use Restriction: Users are not allowed, without written permission, to copy and/or distribute any WDDO copyrighted or other materials from this World Wide Web (WWW) site. Warranty Disclaimer: This web site and all of the information it contains are provided ‘as is’ without warranty of any kind, whether express or implied. All implied warranties, including, without limitation,implied warranties of merchantability, fitness for a particular purpose and non-infringement, are hereby expressly disclaimed. Limitation of Liabilities: Under no circumstances will WDDO be liable to any person or business entity for any direct, indirect, special, incidental, consequential, or other damages based on any use of this web site or any other web site to which this site is linked, including without limitation, any lost profits, business interruption, or loss of programs or information, even if WDDO has been specifically advised of the possibility of such damages. Your privacy is important to us. To better protect your privacy we provide this notice explaining our online information practices and the choices you can make about the way your information is collected and used. To make this notice easy to find, we make it available on our homepage and at every point where personally identifiable information may be requested.This website does not record any of your information. Information you supply us, such as e-mail addresses, phone numbers, postal addresses, and other means of contact are not sold or supplied to any other parties. All information submitted by you is completely confidential.